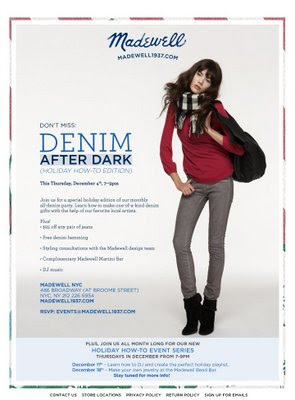 Exciting News... Free Embroidery Class at Madewell! So, I have some exciting news... I'm teaching a free embroidery class at the Madewell store in Soho tomorrow (Thursday, Dec. 4) from 7-9 PM with an awesome designer, Cal Patch. Remember my holiday embroideries? 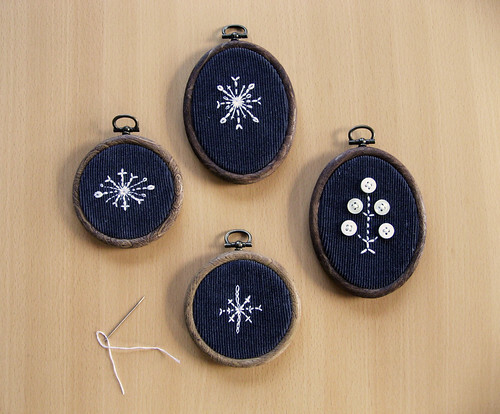 We'll have everything you need to make a mini holiday embroidery of your own: hoops, denim squares, tracing paper, needles and thread. Free! There will even be some goodies from Sublime Stitching to take away!